Dr. George is wrong about reason because it is not the penultimate intellectual capacity of humanity. 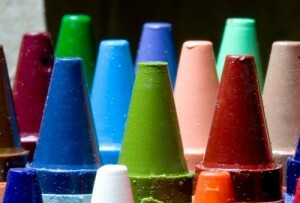 It is just one crayon in the whole box of crayons of human neurological ability. The only way it becomes the brightest crayon in the box is to arbitrarily dismiss the importance of any of the other crayons, especially the crayons whose colors are the foundation for that penultimate crayon. Dr. George does this especially in regards to emotional intelligence. This is a typical statement of his: In a well-ordered soul, reason’s got the whip hand over emotion,”. Kilpatrick then illustrates more of George’s ‘reasoning’: In George’s view, if I have no rational basis for picking one goal over another, then I have no free choice, only predetermined “passions” — the result of genetics, a blow to the head, whatever made me prefer either curing the sick or killing the Jews. We have reason and free choice, he teaches, or we have amorality and determinism. One of the flaws in Dr. George’s position is his dismissal of emotion. His emphasis on the importance of reason makes him feel more comfortable and less anxious. In other words, I could just as easily state that in his case, leaning on his reason is a method of reacting to the the emotion of confusion, fear, and the subsequent anxiety these emotions generate. In this case ‘reason’ is a tool of his brain operating in reaction to his fears. The scientific fact is the higher reasoning functions of the neo cortex are built over and connected to the lower or more primitive reptilian hind brain and the reptilian hind brain is quite concerned with over all organism survival. It generates a number of neuro chemicals associated with all of our survival needs and often times those invoke fear. The neo cortex, in many many ways, serves the activities of the reptilian hind brain in alleviating those fears. Reason does not control the emotions of the hind brain. It can however, construct ideas which serve to mitigate the chemical processes these meta concerns of the hind brain generate. Unfortunately for Mr. George, reason does not operate in altered states of consciousness like dream states, highly emotionally charged events, or young children where the neo cortex is not really on line. In these states the emotive hind brain and it’s meta programs just keep on keepin on and reason is overwhelmed or inoperative. The hind brain reacts to the concepts of the neo cortex really well when one lives in a highly safe and controlled world like Princeton or Cathedral chanceries in the wealthy and stable west. It’s a different story elsewhere. Dr. George’s use of his dominant reason has led him into what a psychologist could only call compartmentalization and rationalizing. The are two very important defense mechanisms used by reason to ignore conflicting reality. Take this for instance: “On the question of capital punishment, George says he is against it but he considers it a matter of interpretation about which Catholics can disagree. The intentional killing of innocent civilians in war is as grave a moral crime as abortion, George says, but what constitutes a “just war” is a more complicated judgment call. Before the 2003 invasion of Iraq, he wrote an op-ed article in The Wall Street Journal arguing that the attack was not necessarily unjust and might even be a moral obligation. “On the evidence that Hillary Clinton voted for the war on and George Bush went to war on, I thought it was justified,” he told me. In my opinion Dr. George has a problem here. He can’t reasonably get around the fact that the intellectual attribute of reason necessitates education of some sort in order to construct solutions and be communicable. Additionally, a lack of consistent health care is a survival issue. Reason does not operate well if the brain is compromised by poor health or is in a continual survival mode. Reason does not function in a physiological vacuum. Precisely because it is a latter development of the neo cortex it necessitates the providing for the necessities of the lower states. A starving sick body with it’s starving sick brain will not reason well. Nor will a poorly educated one. Perhaps this is why Jesus made healing and educating prime directives of His personal mission. Reason, as a justification for natural law, is only available to those whose brains are healthy, fed, secure, and educated. In this sense, it is only the spiritual tool of an elite population. Perhaps this is why the spiritual intellect transcends reason and takes into consideration the totality of human need and experience. The spiritual intellect does not seek just reasonable truth. The spiritual intellect understands that truth is far more than reasonable. It needs to be holistic and incorporate more than the skills of the neo cortex. There is truth in the emotional intellect every bit as much as there is truth in the rational intellect. That’s probably why Jesus taught the meta organizing principle is love. Jesus wasn’t talking about love as need fulfillment, which is the understanding of the hind brain, nor love as a controlled emotion of reason. He was talking about love interpreted by the spiritual intellect which expresses love as connection and compassion. He was talking about intellectual assessments which see similarities in others and does not seek out and isolate differences. He encouraged His disciples to question accepted reason as well as unfettered emotion. He consistently showed them, and made them live the fact, that what they thought was the truth of their world was not the whole truth. Not gravity, not solidity, not sound, not light, not resource scarcity, not even death. He told us the one constant thing about our universe is love. He mandated providing for the survival needs of the poor, and the teaching of His principles. It was in this way that everyone would know and live His definition of love and overcome sin. Perhaps the problem for some of us is that His definition of love is not ‘reasonable’. Colleen, this strikes me as a very brilliant analysis of George’s “rational” theory. Placing that theory in the context of neurological and epistemological analysis which shows that we “reason” in a much more comprehensive and holistic way than George’s theory suggests opens the door to important questions about why George is so convinced his reason is reason tout court, reason for everyone. He is, after all, a white male living in an affluent part of one of the wealthiest nations in the world. To be specific, he lives in the elite idea-generating Northeast of that nation. Which is to say, he and his ideas are embedded in a cultural context that the rest of the world hardly shares. It seems astonishing that anyone would imagine, to begin with, that his reason is everyone’s reason. But it’s even more astonishing that someone whose cultural “place” is a situation of power and privilege not shared by 99.99% of the inhabitants of the world would imagine his reason represents everyone’s reason. Much of the work on ethical reasoning that has come out in the wake of Carol Gilligan’s In a Different Voice demonstrates that men and women are conditioned to reason in very different ways about moral issues. The research Gilligan has inspired critiques the dry, false intellectualism of theories of ethical reasoning which assume that the head has the primary role in moral reasoning. These theories call for a more holistic approach to moral reasoning which reflects how most people actually do arrive at moral insights–through a combination of reason and emotion. Your brilliant analysis adds another level to the conversation by grounding this shift in how we view moral reasoning in neurological science. I am troubled, however, at your statement that,”Reason, as a justification for natural law, is only available to those whose brains are healthy, fed, secure, and educated.” I think that this is not true. Reason is subject to regression in states of starvation, anoxia, intoxication, and other stresses, but it is by no means the province of the educated. Look at the statistics on what small percentage of the world’s population has access to education, and the association between reason and education quickly falls apart. Look also at what percentage of immigrants to the US in the 19th century were literate in any language, and it is quickly troublesome to be associating reason and education. The definition of reason needs to encompass a host of human activities outside what is acquired in education, even before we begin to expand upon rational intelligence with the addition of emotional intelligence. I fear that you come close to opening yourself to the argument that educated and prosperous members of the socioeconomic elite ought to conform to what George concludes about the role of reason in natural law, when in fact we don’t, because we actually live in states of compromise among competing impulses and among conscious and unconscious meanings. That being said, I think that your description of spiritual intelligence comes close to what we should think of as global moral reasoning, which can be quite at odds with George’s precepts of “rationally” derived natural law.